Come and See Rusty Staub! 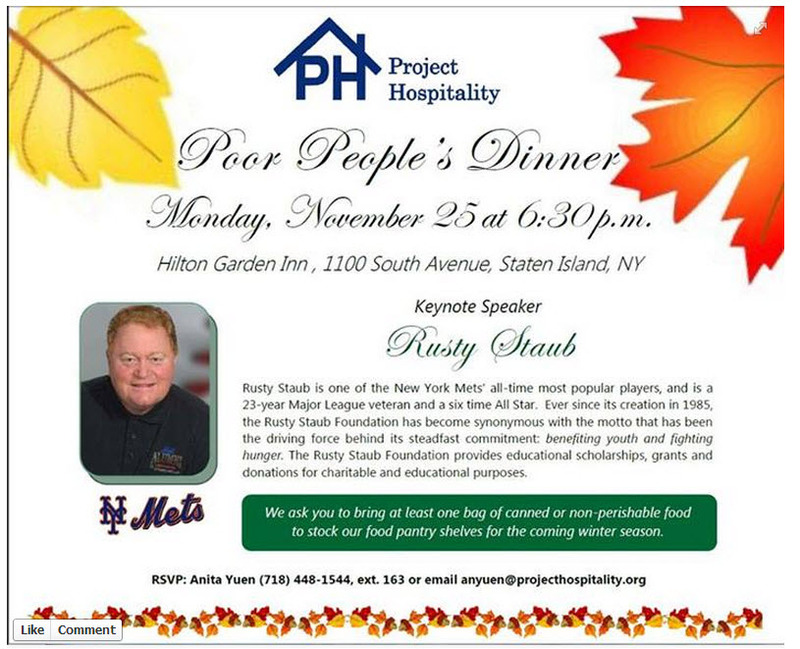 For more information on The Poor People’s Dinner on November 25th, please call Anita Yuen at 718-448-1544, ext. 163. Click HERE to visit the Project Hospitality site.